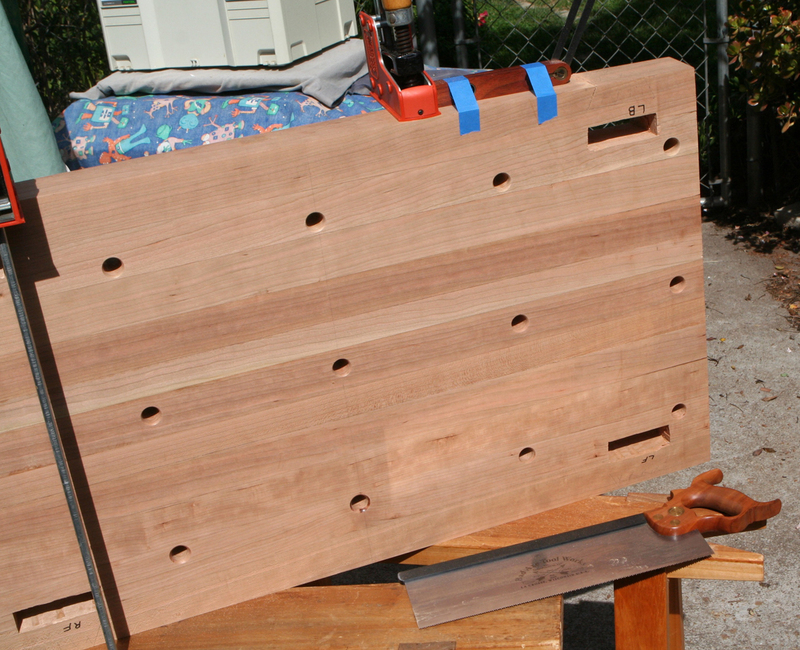 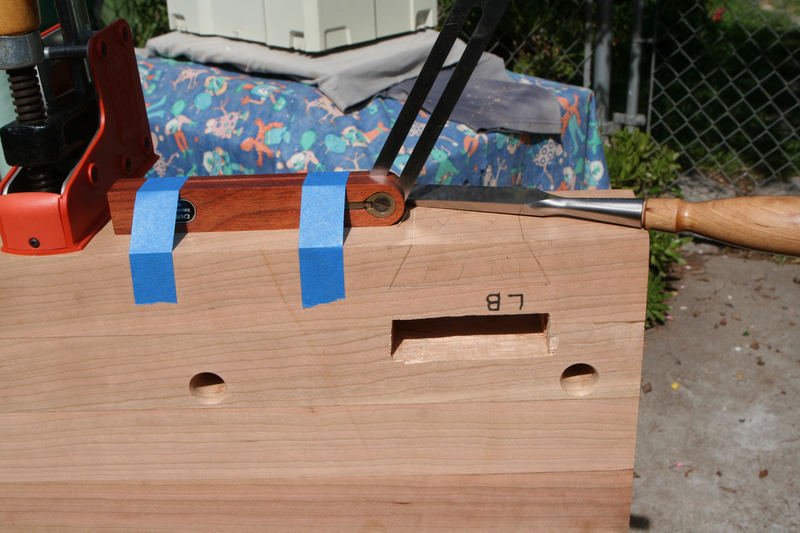 With the top glued up and dog holes bored, it was time to make the through mortises for the legs and base assembly. 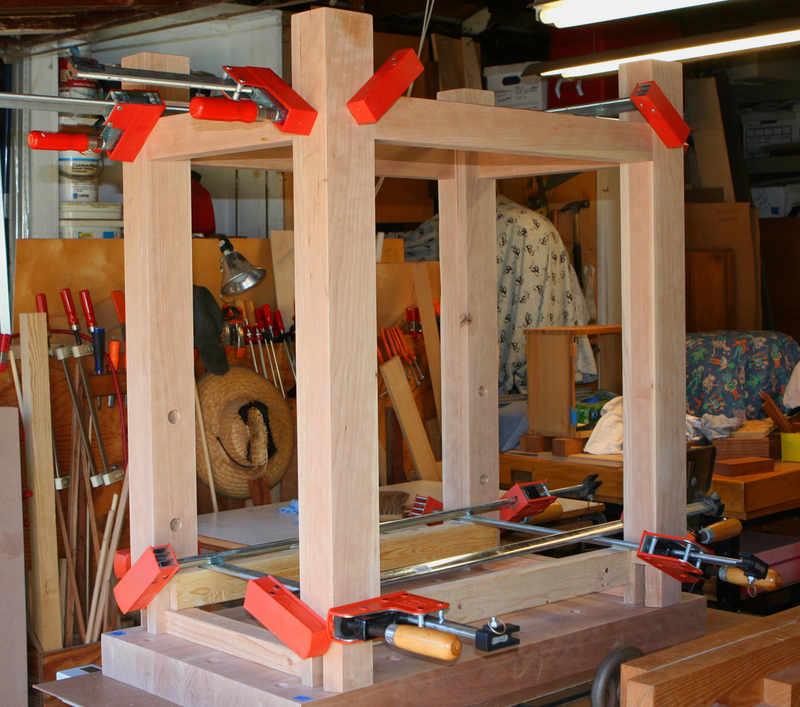 The base is assembled (no glue) and held square with clamps. 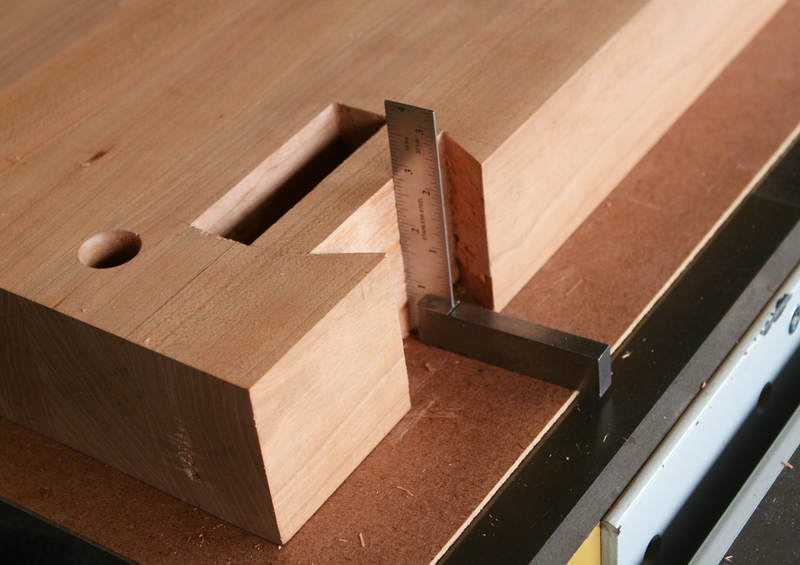 2x4s were half lapped as temporary upper stretchers to eliminate possibility of legs splaying. 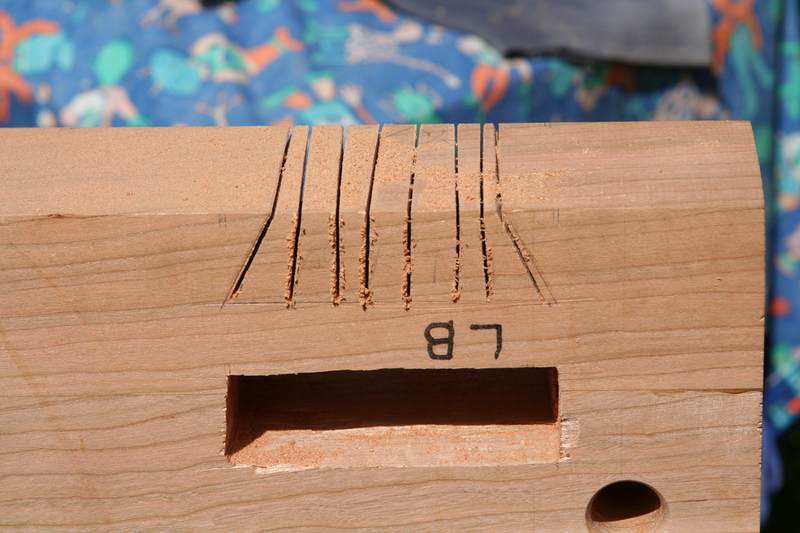 The half laps matched the lower stretchers. 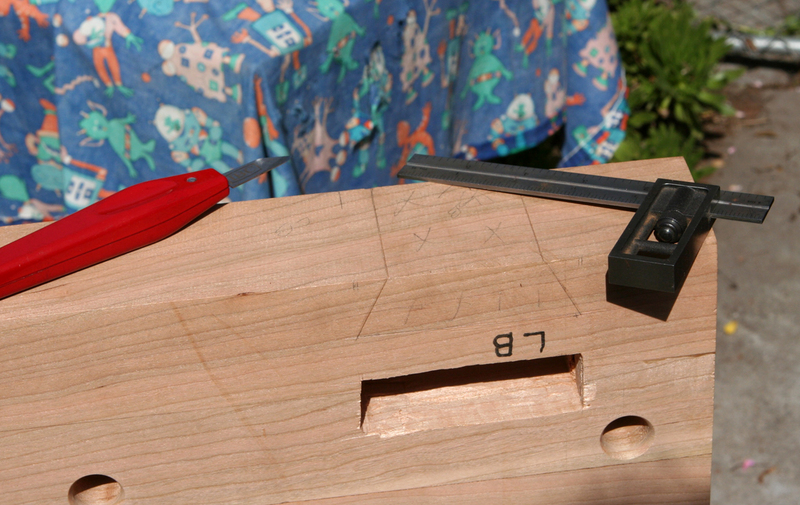 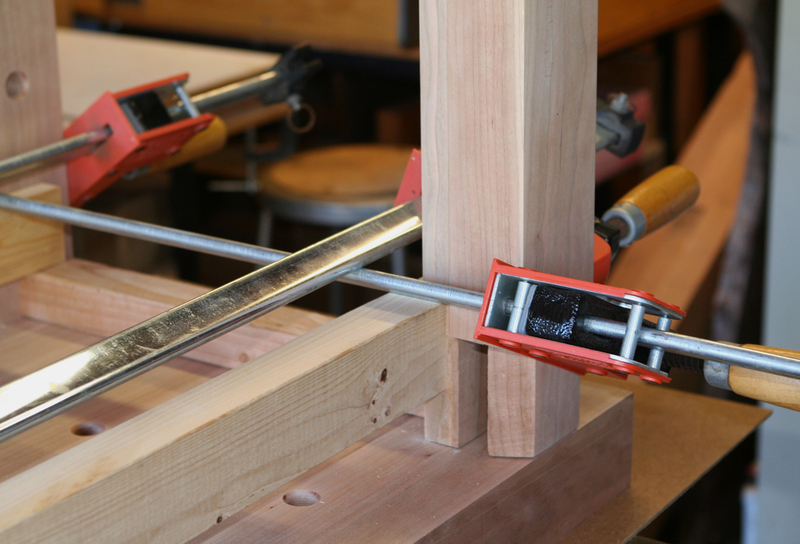 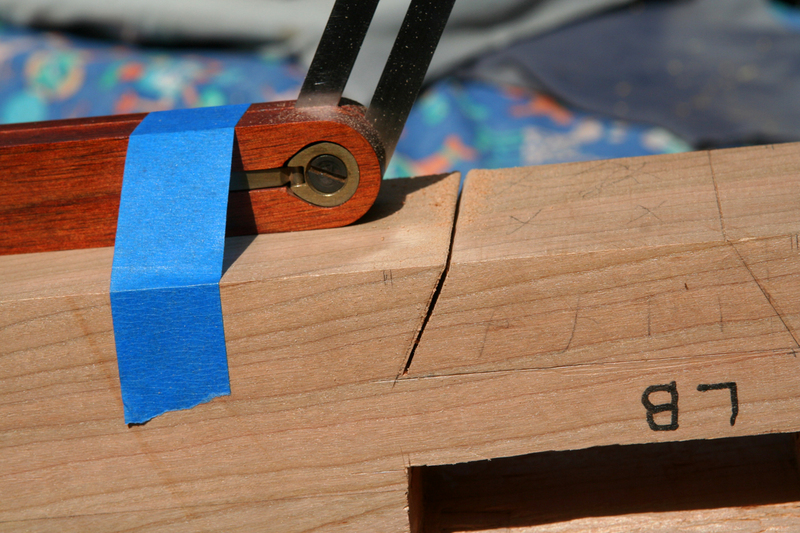 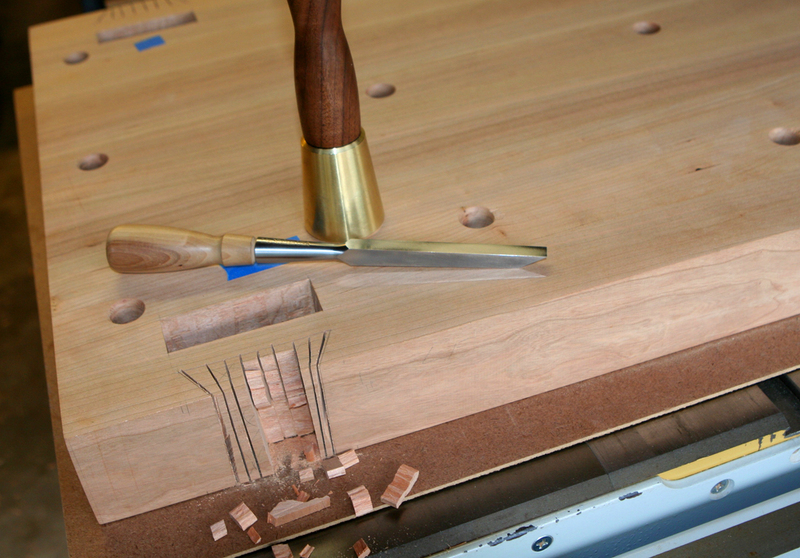 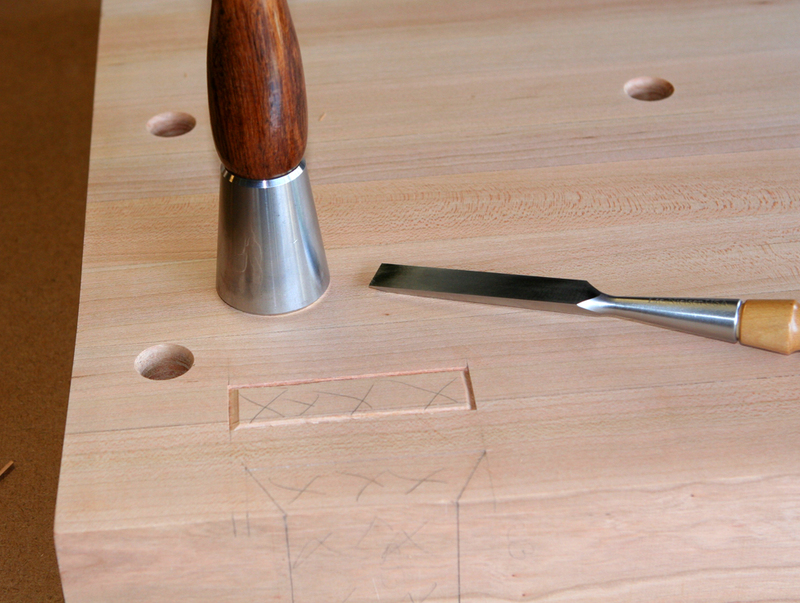 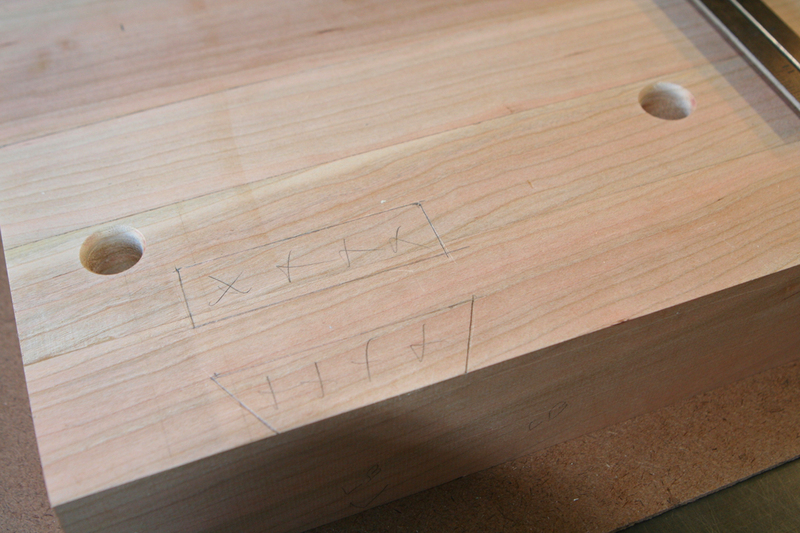 The base is positioned on the top (underside) and leg tenons (and dovetails) marked. 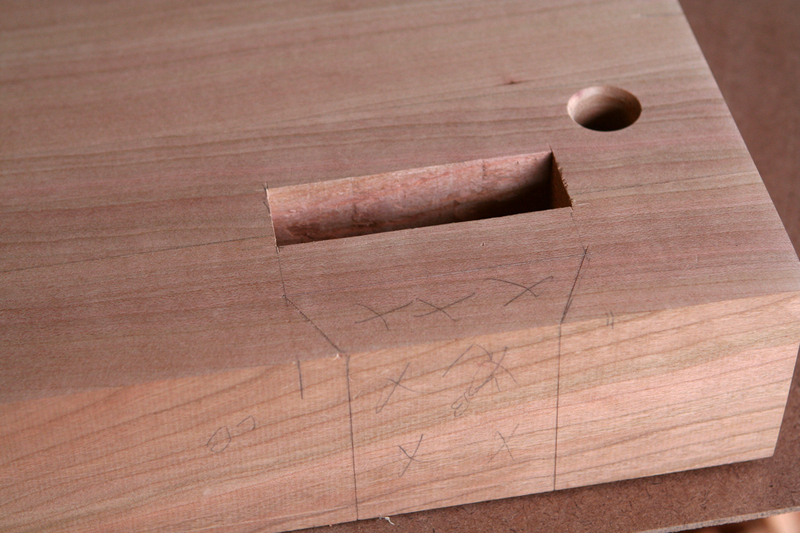 First up were the rectangular mortises. 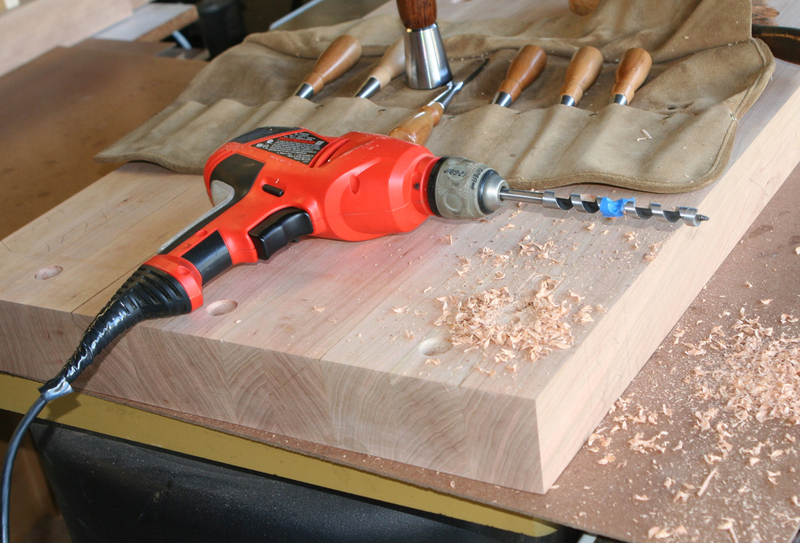 Chisel v-cuts avoided blow out when the boring waste. 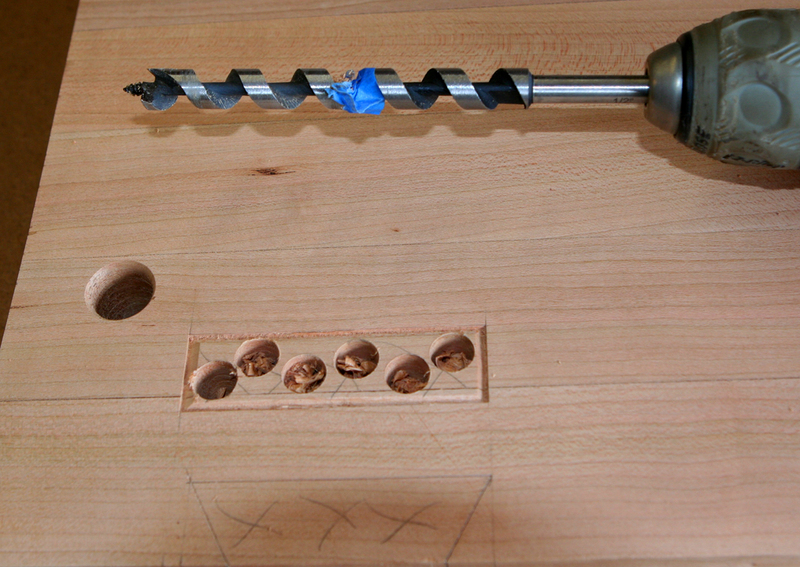 I used a 3/8-inch boring bit to drill multiple holes halfway down, then flipped the top and drilled from the other direction. 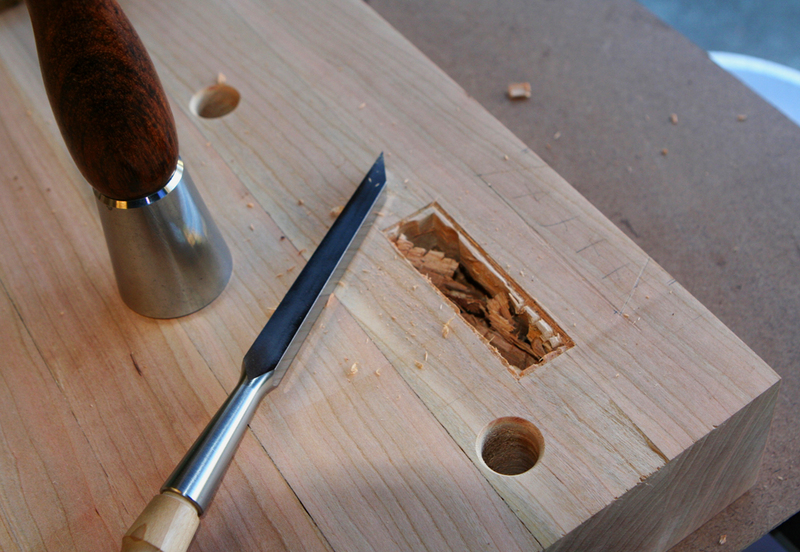 After boring, a mortise chisel cleaned out bulk of remaining waste followed by wider chisel to clean up edges. 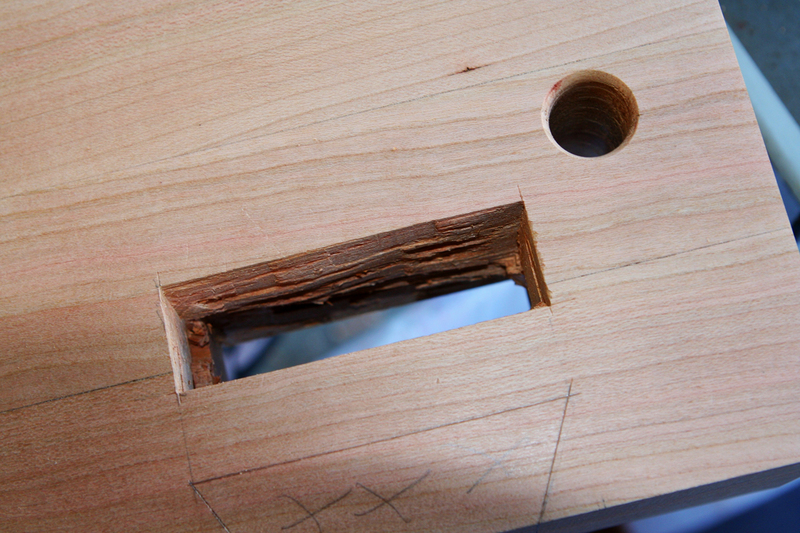 After cuts with backsaw a mortise chisel makes quick work of the waste. 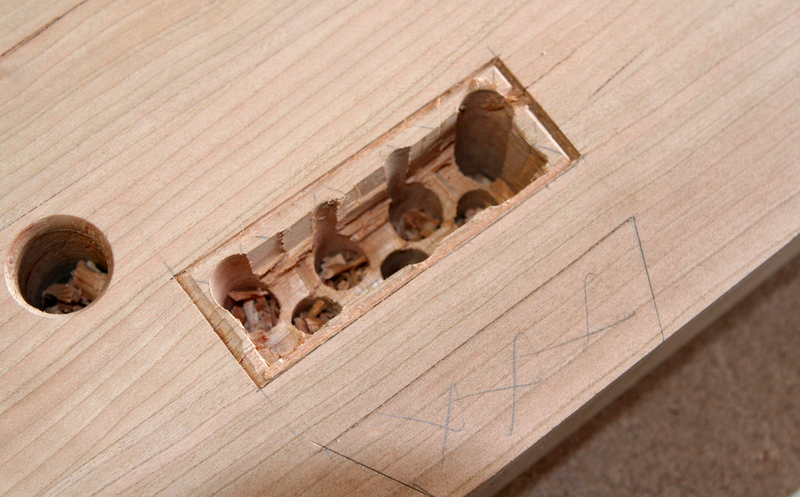 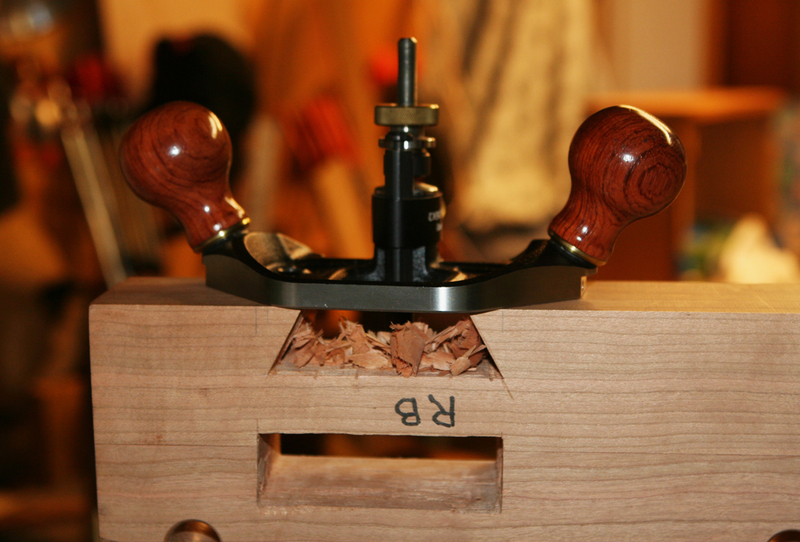 The dovetail slots were cut just shy of the boundary line and then relief cuts made in the waste area. 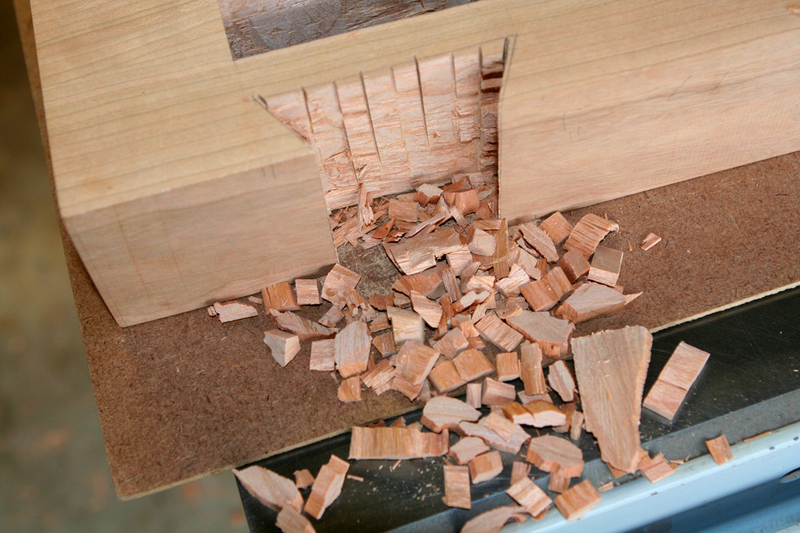 Those cuts made chopping bulk of waste an easy and fun process. 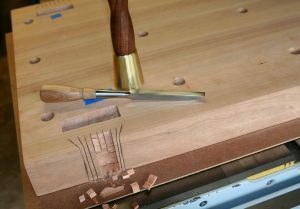 A wide chisel pared to the angled lines, followed by combination of chisel and route plane to create a flat and perpendicular surface. 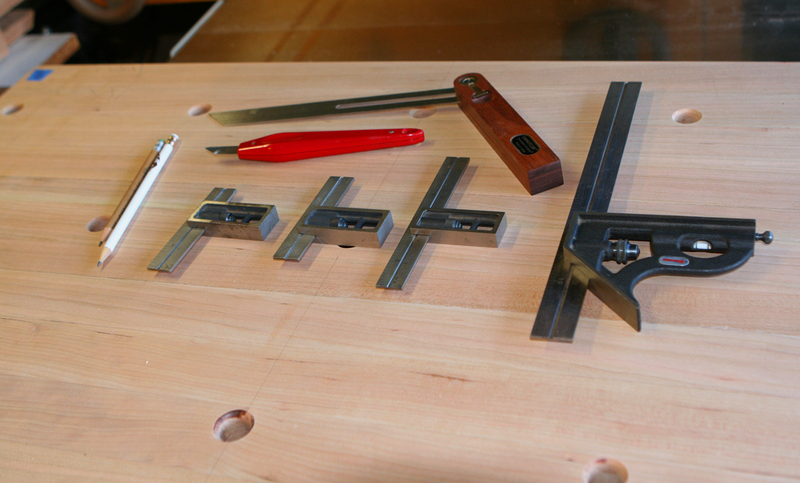 Test fitting, followed by tweaking kept me entertained and challenged.